Premium quality, the Rolls Royce of garden hammocks. Canopy manufactured from Polyester Cotton which will keep you cool as well as protect you from the sun, wind or showers. British made, production in Yorkshire. 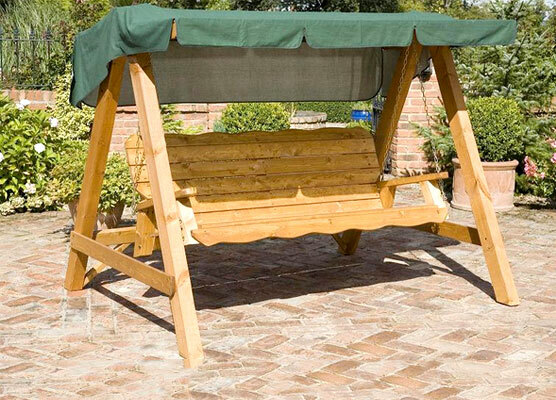 Manufactured from slow grown pine ensuring strength and durability. Treated with a solvent free, weatherproof water based stain. Environmentally friendly from sustainable, renewable sources. Sturdy construction ensures stability and rigidity for years of outdoor use.